Pietra Grey marble-effect surfaces are the latest addition to the Ceralsio ceramic surfacing by CRL Stone. 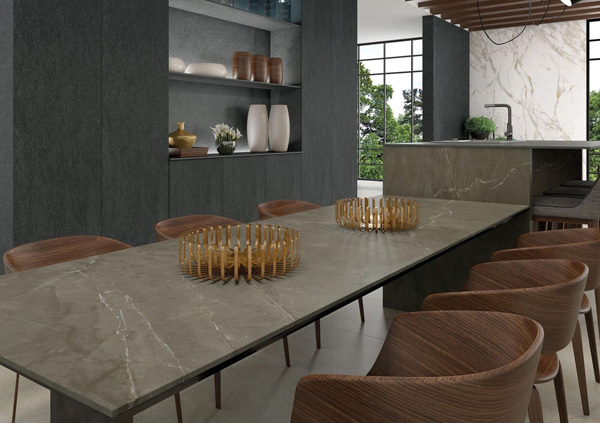 CRL Stone has introduced Pietra Grey marble-effect surfaces as the latest addition to its existing Ceralsio ceramic surfacing. It can be used for kitchen worktops, bathroom surfaces, flooring and wall cladding and comes in large format slabs and tiles. The marble-effect surfaces are available in 12mm thickness for a slim worktop and 6mm for wall cladding and floor tiling. Pietra Grey comes in the choice of a natural or polished finish.